Telling students to simply underline “the important stuff” is too vague. Underline and Circle needs to direct the students to underline and circle very specific things. 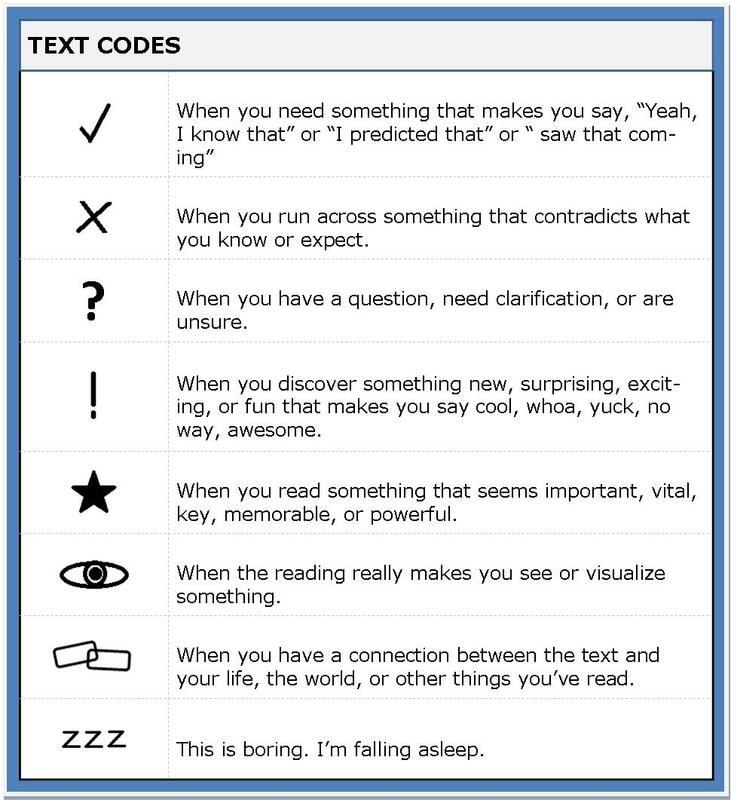 Think about the information you want students to take from the text, and ask them to look for those elements. Circling specific items are an effective close reading strategy might include key terms, names of sources, power verbs, or figurative language. Providing students with a specific thing you want them to underline or circle will focus their attention on that area much better than “underlining important information”. The teacher gives students a limited number of Post-its prior to assigning a text passage. As the students perform their first reading of a short portion of the passage, they place Post-its by key vocabulary, concepts, or information. After completing the first reading of the passage, the students write questions on the Post-its about the words, concepts, or pieces of information regarding the sections they marked. The teacher then can utilize a number of sub-strategies: students can use their completed Post-its to question each other (pairs), with responders finding answers in the text; the teacher can collect Post-its from students and use them to question the entire class; or the teacher can have students popcorn questions to other students in the room. This portion of the lesson can be customized in many different ways. Writing in the margins, which can be broken down into left margin annotation which summarizes the main idea of that chunk, or right margin annotation where students dig deeper by using questions, defining vocabulary, drawing illustrations. When students annotate as they read, it keeps them focused and engaged with the text. It makes comprehension more conscious and intentional, which is especially useful for difficult text. Model annotation using think-alouds. Focus on unfamiliar vocabulary, confusing parts of the text, connections, etc. Underline, highlight, use Post-its, and/or write notes in margins. Give instructions for student reading and annotation. As you read this article, I want you to do what I’ve just demonstrated. First, underline information that is important, surprising, interesting, or thought provoking. Then, before continuing to read, stop and jot down a sentence or two that explains why you chose that bit to underline. The goal is to explain your thoughts, opinions, or questions. Try to imagine that you are having a conversation with the text inside your head. Your notes are your side of the conversation. Pair-share Students should compare what they annotated and their thoughts connected to those underlines. This can go along nicely with text annotation; it’s a quick way to make notes using simple symbols in the margins in reaction to text. Adding coding to underlining, circling, and marginal notes (text annotation) can create a robust way of excavating meaning from a text, marking it up to open it up. Adding coding can kick comprehension up another notch. Introduce codes - Provide student handouts or a poster and explain each code. Demonstrate coding - Use the first part of the text (think aloud/model) - also show how you write a word or two to help you remember what the code means. Kids try coding - Students try it with the rest of the article. Have them find at least three places to put a code. Pair Share - Partners discuss codes they used and where they were placed. S Survey Skim text for headings, charts, bold words, italicized words, and pictures. With remaining time, begin reading the text with your pencil down. Q Question Turn headings into questions. R Read Read to answer your questions (in your mind). R Review Reread for details and unanswered questions. See Close Reading in Action Videos.